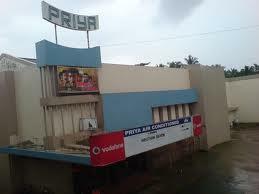 Priya” is a comfortable A/C theatre with an accommodation of 977 seats, with 225 Balcony seats and now boasts the most modern technology of Digital Projection, from “QUBE” which is also the first time in Palakkad. YOU CAN ALSO RESERVE THROUGH TELEPHONE —— NUMBER IS 0491- 2531818 & 9349253692 ( 10 Am to 5 Pm daily) THERE IS NO RESERVATION FOR PRIYATAMA !! !